This page is in memory of the Service personnel lost aboard the Hollyhock following her sinking on 9th April 1942. DAVIES Thomas Edward (below), (34), Lieutenant Commander RNR, OBE; the son of Thomas Edward and Esther Davies. Remembered with honour PORTSMOUTH NAVAL MEMORIAL, Hampshire, United Kingdom. SOUCH, Robert H, (31), Acting Able Seaman RN; the son of Joseph and Caroline Souch; husband of Edith Rose Souch, of Brixton, London. Remembered with honour PLYMOUTH NAVAL MEMORIAL, Devon, United Kingdom. SIMPSON, Bernard, (32), Ty. Lieutenant RNR. Remembered with honour PORTSMOUTH NAVAL MEMORIAL, Hampshire, United Kingdom. HIBELL, Richard Jesse, (25), Ldg. Cook (S) RN; the son of Richard Frederick and Anne Frances Hibell; husband of Florence C. Hibell, of Custom House, Essex. Remembered with honour PORTSMOUTH NAVAL MEMORIAL, Hampshire, United Kingdom. SMITH, John C, Able Seaman, Royal Naval Volunteer Reserve. Remembered with honour PORTSMOUTH NAVAL MEMORIAL, Hampshire, United Kingdom. CORY, Derek John, (22), Ty. Sub Lieutenant, RNR; the son of Herbert William and Agnes Lilian Cory. Remembered with honour PORTSMOUTH NAVAL MEMORIAL, Hampshire, United Kingdom. HOWARD, Bernard G, (27), Ord. Seaman RN; the son of Harry and Ellen Howard; husband of Doris Noreen Howard, of Leicester. Remembered with honour PORTSMOUTH NAVAL MEMORIAL, Hampshire, United Kingdom. ANDERSON, H G, (29), Able Seaman, South African Naval Forces; the son of Wallace H. and Susan C. Anderson, of Port Elizabeth, Cape Province, South Africa; husband of Edith Anderson. Remembered with honour PLYMOUTH NAVAL MEMORIAL, Devon, United Kingdom. JUBY, K J, (16), Ordinary Seaman, South African Naval Forces; the son of Mr. and Mrs. H. W. B. Juby, of Germiston, Transvaal, South Africa. Remembered with honour PLYMOUTH NAVAL MEMORIAL, Devon, United Kingdom. SOUTHALL, John A, (21), Acting Able Seaman RN; the son of John and Theresa Southall, of Birmingham. Remembered with honour PORTSMOUTH NAVAL MEMORIAL, Hampshire, United Kingdom. BARLOW, William P, (29), Leading Steward RN; the son of Mr. and Mrs. Percy Barlow; husband of Ivy Barlow, of Gosport, Hampshire. Remembered with honour PORTSMOUTH NAVAL MEMORIAL, Hampshire, United Kingdom. 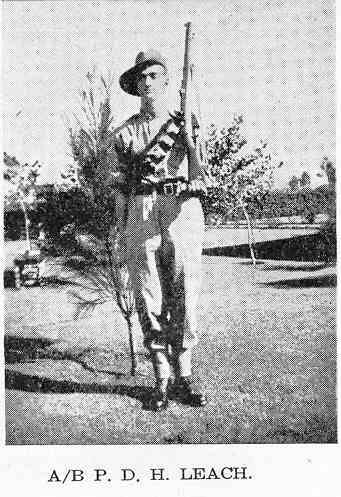 KERR, Norman C, (19), Orderly, Australian Naval Reserve; son of Thomas John and Rose Kerr, of Canowindra, New South Wales, Australia. Remembered with honour PLYMOUTH NAVAL MEMORIAL, Devon, United Kingdom. STILL, Robert D, (20), Telegraphist RN; the son of Hilda Eveline Still. Remembered with honour PORTSMOUTH NAVAL MEMORIAL, Hampshire, United Kingdom. BASTON, Douglas T, (25), Engine Room Artificer 4th Class, South African Naval Forces; the son of William A. and Elizabeth Baston. Remembered with honour PLYMOUTH NAVAL MEMORIAL, Devon, United Kingdom. LAMB, John, (25), Able Seaman RN; the son of William M. and Mary A. Lamb. Remembered with honour PORTSMOUTH NAVAL MEMORIAL, Hampshire, United Kingdom. WEST, Harry F W, (22), Able Seaman, Royal Australian Naval Reserve; the son of James and Edith West, of North Curl Curl, New South Wales, Australia. Remembered with honour PLYMOUTH NAVAL MEMORIAL, Devon, United Kingdom. BLOOMFIELD, Cyril, Stoker First Class RN. Remembered with honour PORTSMOUTH NAVAL MEMORIAL, Hampshire, United Kingdom. LEACH, Peter Arthur Drummond Hay (below), (21), Stoker Second Class, South African Naval Forces; the son of Harold and Louisa M. A. D. H. Leach. Remembered with honour PLYMOUTH NAVAL MEMORIAL, Devon, United Kingdom. WICKETT, Alfred J, (24), Stoker First Class RN; son of Ernest and Ellen Wickett; husband of Gladys May Wickett, of Plymouth. Remembered with honour PLYMOUTH NAVAL MEMORIAL, Devon, United Kingdom. BRADLEY, Kenneth C, (25), Ord. Seaman RN; the son of Francis Bernard and Minnie Bradley; husband of Eunice Amy Phyllis Bradley, of North End, Portsmouth. Remembered with honour PORTSMOUTH NAVAL MEMORIAL, Hampshire, United Kingdom. LEITCH, Robert A, Stoker Second Class RN. Remembered with honour PORTSMOUTH NAVAL MEMORIAL, Hampshire, United Kingdom. WOOD, Charles, (29), Stoker Second Class RN; the son of William and Jeanette Wood, of Barnsley, Yorkshire; husband of Nancy Wood, of Barnsley. Remembered with honour PORTSMOUTH NAVAL MEMORIAL, Hampshire, United Kingdom. CARHART, Herbert J, Steward, RN. Remembered with honour PORTSMOUTH NAVAL MEMORIAL, Hampshire, United Kingdom. 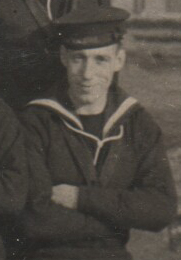 MITCHELL, Donald (below), (22), Able Seaman RN; the son of Walter and Margaret Mitchell, of Rockfield, Ross and Cromarty. Remembered with honour PORTSMOUTH NAVAL MEMORIAL, Hampshire, United Kingdom. BLACKMAN, Frederick J (below), (37), Telegraphist, RN; the son of Allan and Ellen Blackman; husband of Gladys Mary Blackman. Remembered with honour PORTSMOUTH NAVAL MEMORIAL, Hampshire, United Kingdom. COLLETT, Jack A, Petty Officer Stoker RN. Remembered with honour PORTSMOUTH NAVAL MEMORIAL, Hampshire, United Kingdom. MOONEY, Water A, (24), Petty Officer RN; the son of George Victor and Millicent Mooney; husband of Kathleen Mary Charlotte Mooney, of Shirley, Southampton. Remembered with honour PORTSMOUTH NAVAL MEMORIAL, Hampshire, United Kingdom. BOOTH, Albert J, (22), Stoker First Class, RN; the son of Albert Edward and Gladys May Booth, of Risca, Monmouthshire. Remembered with honour CHATHAM NAVAL MEMORIAL, Kent, United Kingdom. COOPER, Henry, (36), Petty Officer Stoker RN; the son of Nickol and Alice Cooper; husband of Elizabeth Ethel Cooper, of Gateshead, Co. Durham. Remembered with honour PORTSMOUTH NAVAL MEMORIAL, Hampshire, United Kingdom. NICHOLLS, Leslie F, (33), Ord. Seaman RN; the son of Frank and Emma Nicholls; husband of Florence Maud Nicholls, of Manor Park, Essex. Remembered with honour PORTSMOUTH NAVAL MEMORIAL, Hampshire, United Kingdom. BUITENDACH, James M, (22), Stoker Second Class, South African Naval Forces; the son of Jacob E. and Dorothea M. Buitendach, Durban, Natal. South Africa. Remembered with honour PLYMOUTH NAVAL MEMORIAL, Devon, United Kingdom. EDMONDS, Ernest R, (42), Chief Engine Room Artificer; the son of Charles and Emma Edmonds; husband of Polly Maddox Edmonds, of Fareham, Hampshire. Remembered with honour PORTSMOUTH NAVAL MEMORIAL, Hampshire, United Kingdom. NIVEN, James, L, Ord. Seaman RN. Remembered with honour PORTSMOUTH NAVAL MEMORIAL, Hampshire, United Kingdom. BURROWS, Norman T J (below), Sick Berth Attendant; Remembered with honour PORTSMOUTH NAVAL MEMORIAL, Hampshire, United Kingdom. ELLIS, Albert N, Ord.Signalman RN. Remembered with honour PORTSMOUTH NAVAL MEMORIAL, Hampshire, United Kingdom. PATTERSON, John W, (22), Able Seaman RN; the son of J. W. and Iris Isabella Patterson, of South Shields, Co. Durham. Remembered with honour PORTSMOUTH NAVAL MEMORIAL, Hampshire, United Kingdom. CARSON, William J, (22), Stoker Second Class RN; the son of William J. and Mary Carson, of Paisley, Renfrewshire. Remembered with honour PORTSMOUTH NAVAL MEMORIAL, Hampshire, United Kingdom. ELLIS, Reginald H, (41), Leading Stoker RN; the son of George William and Emily Ellis. Remembered with honour PORTSMOUTH NAVAL MEMORIAL, Hampshire, United Kingdom. PAYNE, Albert E, (31), Stoker Second Class RN; the son of George and Louise Payne; husband of Kate Frances Payne, of Withdean, Sussex.Remembered with honour PORTSMOUTH NAVAL MEMORIAL, Hampshire, United Kingdom. CORMACK, Angus, (21), Able Seaman RN; the son of Adam and Christina Cormack, of Lybster, Caithness-shire. Remembered with honour PORTSMOUTH NAVAL MEMORIAL, Hampshire, United Kingdom. GRIMLEY, Norman S, (23), Leading Coder; the son of Jasper Sylvester Grimley and Mabel Grimley, of Bedworth, Warwickshire. Remembered with honour PORTSMOUTH NAVAL MEMORIAL, Hampshire, United Kingdom. PLANT, George S G, (50), Leading Stoker RN; the son of Edward William H. and Louisa Plant; husband of Ethel Grace Plant, of Woolavington, Somerset. Remembered with honour PORTSMOUTH NAVAL MEMORIAL, Hampshire, United Kingdom. DUCK, Leslie S, (33), Ord. Seaman RN; the son of Thomas and Mary Alice Duck, of Westow, Yorkshire. Remembered with honour PORTSMOUTH NAVAL MEMORIAL, Hampshire, United Kingdom. HARRAT, Arthur R, (22), Signalman RN; the son of William John and Emily Harratt, of Northampton. Remembered with honour PORTSMOUTH NAVAL MEMORIAL, Hampshire, United Kingdom. PRESTON, Robert A F, Chief Petty Officer RN; Mentioned in Despatches for his actions (see below). Remembered with honour PORTSMOUTH NAVAL MEMORIAL, Hampshire, United Kingdom. HILL, Allan P,20, Signalman RN; the son of Joseph and Kate Hill, of King's Heath, Birmingham. Remembered with honour PORTSMOUTH NAVAL MEMORIAL, Hampshire, United Kingdom. HARRIS, Bertie P, Able Seaman RN. Remembered with honour PORTSMOUTH NAVAL MEMORIAL, Hampshire, United Kingdom. SANDHAM, David T, Cook. Remembered with honour PORTSMOUTH NAVAL MEMORIAL, Hampshire, United Kingdom. PHILLIPS, Harry T, 22, Supply assistant; the son of Harry Frank and Elizabeth Sarah Phillips, of Purbrook, Hampshire. Remembered with honour PORTSMOUTH NAVAL MEMORIAL, Hampshire, United Kingdom.